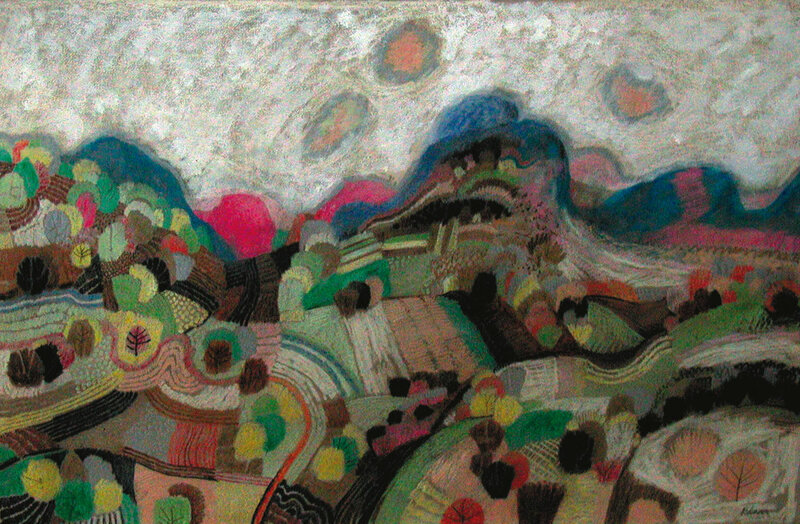 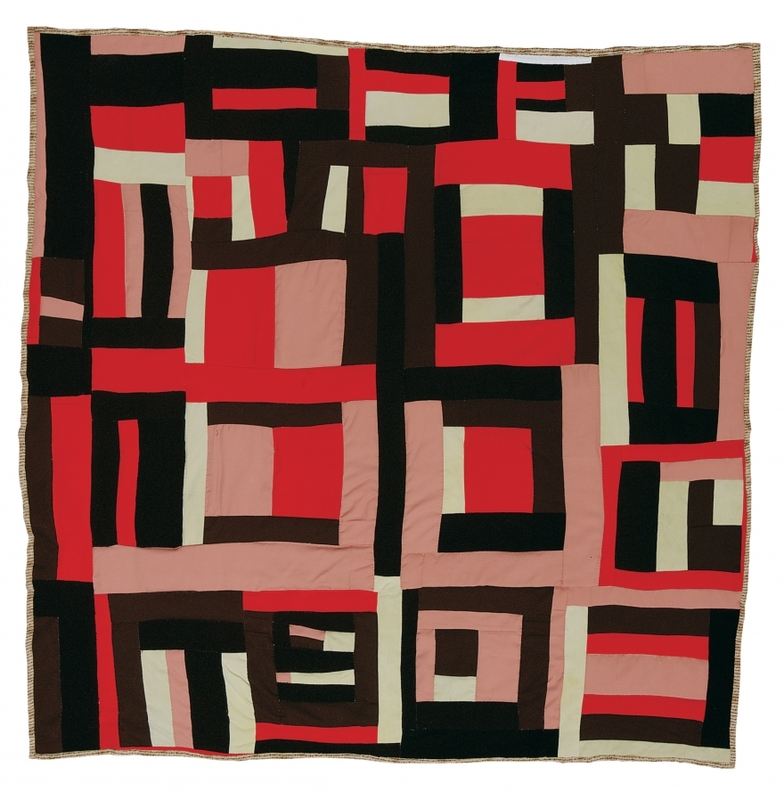 To complement the fiber-rich exhibition of Gee’s Bend quilts and prints as well as that of Cozbi Cabrera’s dolls, quilts and paintings, the Art Museum will present visitors with works from our permanent collection from a new perspective that references and explores fabric and other forms of fiber in a variety of ways. 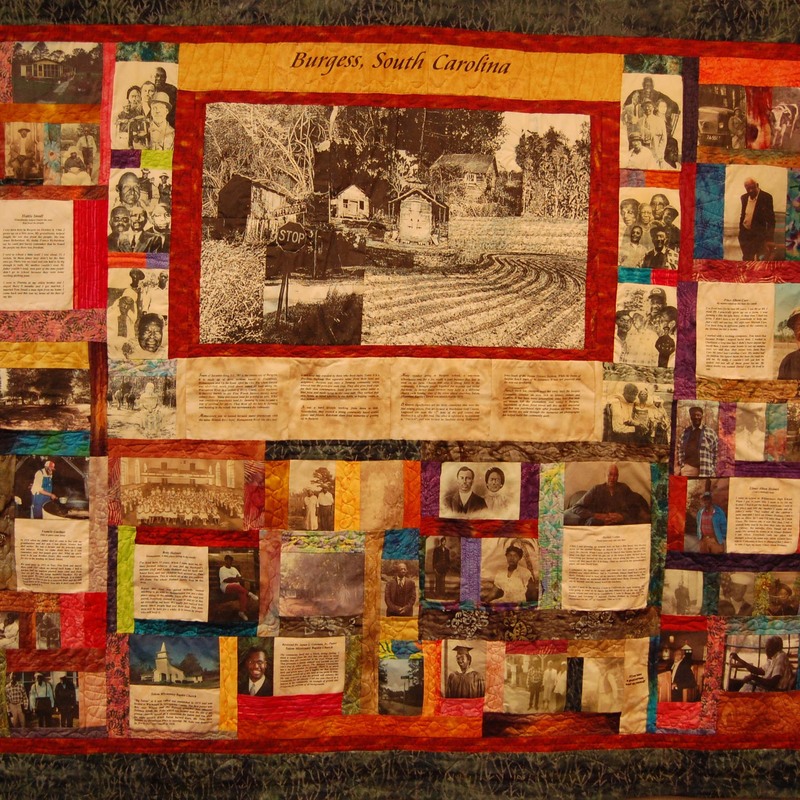 Works like our Burgess, The Legacy photo-collage quilt by Carolynne Miller will serve as an example of art that utilizes fabric as its medium, while works in non-fiber media, like Carl Blair’s oil and wax painting Appalachian Spring, will exhibit imagery that evokes the look and feel of fabric by way of texture, color, style and composition. 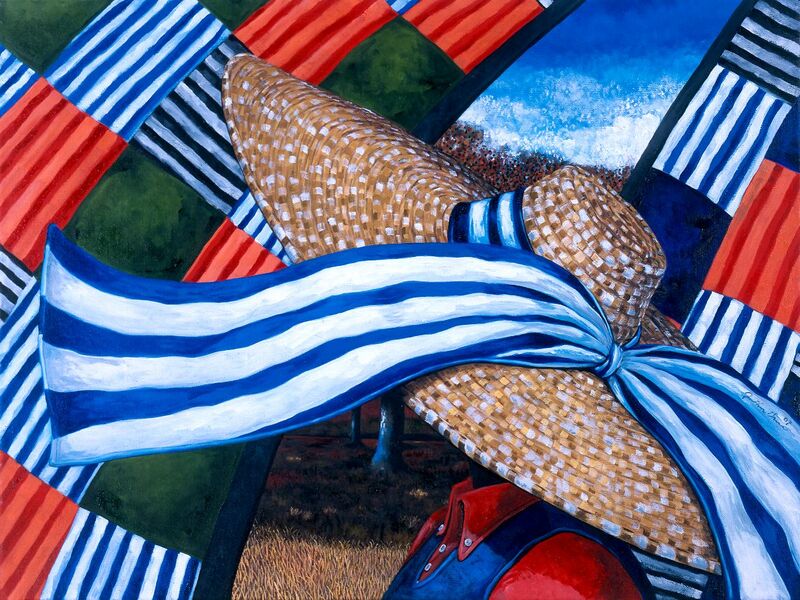 Other works will exemplify our theme with their subject matter, such as Jonathan Green’s oil painting of a woman in an iconic straw hat embellished with a striped ribbon moving between colorful, line-hung quilts, titled African Memories. 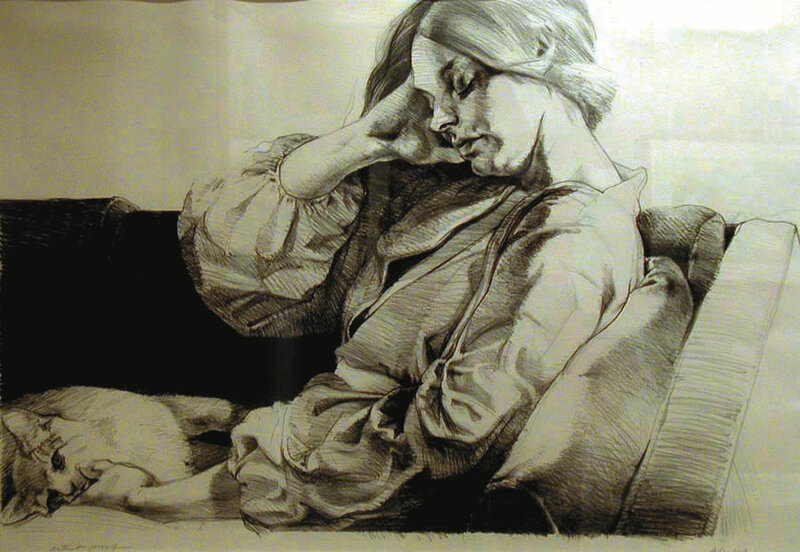 And finally, the exhibition will highlight technique in terms of representing the beautiful folds and draping of fabric in several drawings of women’s clothing and one still-life featuring a tablecloth.